24. Drink a glass of wine in top ten wine making countries of the world: Italy, France, Spain, Australia, Chile, US, Germany, Argentina, China and South Africa. 26. Taste 50 regional/local specialties. 27. Pass through the Panama Canal. 28. Learn to make tamales. 29. Learn to make tortillas from scratch. 30. Camp at the Racetrack, Death Valley. Our next big trip will be Australia and New Zealand. We started saving for it right after we returned from Italy. I'd like to go next year, but time off might be a concern. When we visited Coba in Quinto Roo, we had the opportunity to climb Nohoch Mul which is the tallest pyramid in the Yucatán peninsula. However, I didn't learn of it until after our visit. Yes, we completely missed it. I'm still not sure how it is possible. It served as a good lesson to research sights beforehand so you're armed with must sees. One time we stayed at Colorado Belle in Laughlin and upon check in they gave us a paint by number picture of the Belle, a paddle wheel river boat. I had such fun with it, I think I'd really enjoy one of those Wine & Canvas parties. Wines I've had in Central California and Italy, particularly, Orvieto, have been outstanding. It would be awesome to sample wines from the other eight top wine making countries. Islands are relatively new to me, I'm pretty sure I've only been to four: Manhattan, Capri, Venice, and Guidecca. I am fascinated by regional foods. It's probably my favorite part of traveling. I'm pretty close to achieving this life list item. If I count multiple local specialties from one city, I've exceeded 50 by far. Tying this into our ballpark visits has been fun, we've had Little Caesars in Detroit, Ichirolls in Seattle, knish in New York, Crab in San Francisco, just to name a few. I'm not one that fancies the idea of a cruise. However, I think one that passes through the Panama Canal would be very neat. I need to be adopted by a Mexican family. I absolutely love tamales and fresh tortillas. I'd love to learn to make both. 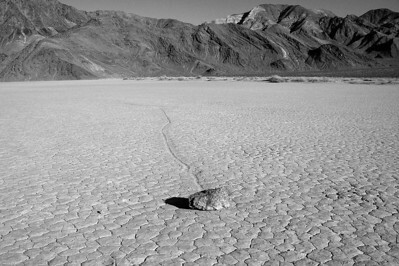 Years ago, Frank and I went to the Racetrack at Death Valley. It's an extremely remote location. We can only imagine how bright the stars must be at night. We decided one day we'd return to camp. We've since learned you can't actually camp in the Racetrack, but there are designated areas nearby. I'm sure the stars are just as bright.